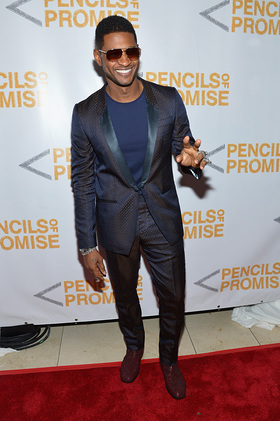 A host of stars turned out to benefit Pencils of Promise on Thursday, October 25. The second annual Gala included a seated dinner, live auction and after party. Honorees, Usher Raymond IV, the Former First Lady of the U.K., Sarah Brown and the family of Hope Taitz, current member of the Board of Directors of PoP, were recognized for their contribution to the organization and its efforts. In addition to the night’s honors, Tori Kelly, the latest artist from Scooter Braun, owner of Raymond-Braun Media Group and Schoolboy Records, performed her debut single. Among the guests were Scooter Braun, Jessica Szohr, Cash Warren, Estelle, Maxwell, Sam Adams, Barron Davis, Kyle Maclachlan, Jessica Stam, Arlenis Sosa, Lonneke Engel, and DJ Vikas Sapra. 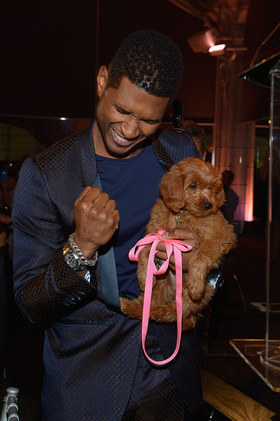 Some highlights from the live auction included Usher winning a puppy for $12K and two attendees winning private dance lessons with Usher for $65K each. 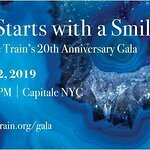 The Gala served as a fundraising event to help reach the goal of building their 100th school and also celebrated the accomplishments PoP has made over the past year. PoP far surpassed their goal of raising one million dollars by the end of the night. Pencils of Promise (PoP) believes every child should have access to quality education. PoP’s mission is to create schools, programs, and global communities around the common goal of education for all and is already creating a movement of global citizens, regardless of age or status. Founded in 2008 by CEO, Adam Braun, PoP uses what Braun likes to call a “For-Purpose” approach to blending non-profit idealism with for-profit business principles. PoP began with a mere $25 deposit into a bank account on Braun’s 25th Birthday and has since delivered 2.8 million hours of education, impacted over 50,000 lives, and broken ground on nearly 80 schools. Focusing on building strong structures and sustainable educational programs by forming long-lasting collaborative relationships with communities, PoP aims to increase access to quality education and positively impact students and parents in high-need communities throughout Laos, Nicaragua, Guatemala, and Ghana. Log on to PencilsofPromise.org for more information or to learn how you can make an impact.